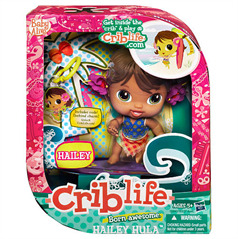 Your Crib Life Doll - Hailey Hula doll likes hula dancing and traveling and she especially likes you! Help her practice some cool hula moves. Then take her along to meet some of your friends, or help her plan an imaginary trip with some of her own CRIB LIFE CUTIES™ friends (sold separately). Sweet, rockin' baby doll is ready to be friends! Her charm hides an online code that brings you a whole new world of fun. Includes doll, outfit, charm, online code, and mini book. Ready for a whole new world of excitement? 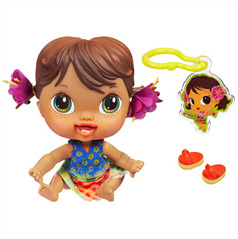 Check out the secret code behind your HAILEY HULA doll's charm and click into Criblife.com to play a game, watch a video, and get to know some of the other CRIB LIFE CUTIES dolls! Baby Alive dolls give little girls endless hours of interactive fun. They're great teaching dolls because they help teach your daughter how to take care of someone else. The different versions of Baby Alive dolls focus on feeding, comforting, cleaning up and potty training. Just like a real child, there can be quite a bit of a mess to clean up. Have fun selecting the one that will give your child a lot of fun being a mommy. 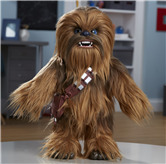 We're simply mad for the new Crib Life baby dolls from Hasbro. These aren't just any baby dolls - the world is their playpen. 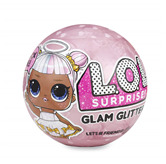 For your little fashioNieceta, of course!